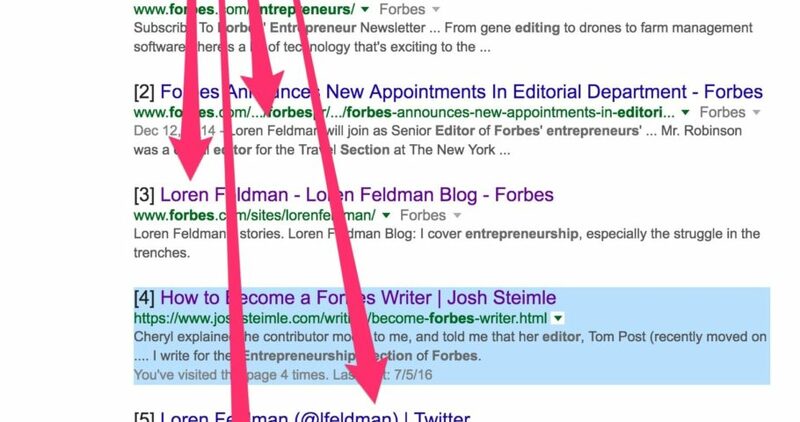 Quora: I want to write (contribute) for forbes.com. Anybody know who i should contact and how? 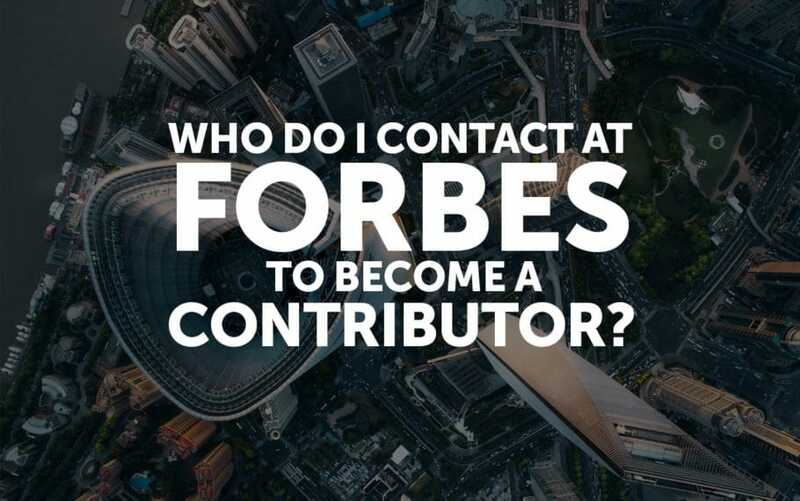 But let me get really direct about this–there is no One Email or certain person at Forbes whom you contact in order to become a contributor at Forbes. It’s different at Entrepreneur or Inc. Most of the people I know who were recently signed up as contributors for Forbes were invited to become contributors. This is the method I endorse most heavily–do something or write something that will get you noticed by Forbes and let them come to you. I got into the Forbes contributor program because I got an introduction from a friend. It’s also a great method, if you happen to have that kind of friend. I’m no detective, but I’ll give you four guesses as to who the editor of the entrepreneurs section is at Forbes. If that’s not the section you want to write for, do a similar search to figure out who the editor is for the section that’s the best fit for you. Once you know who the editor is, you should probably proceed very cautiously, carefully, and send them a huge email telling them why you’re such a great writer and business thought leader and how badly you want to write for Forbes and how it will help you so much and be a great thing for you and feed all the starving children in the whole world, right? Wrong! Think about this from the editor’s perspective. How many emails do you think he gets every day from desperate writers who want to become contributors at Forbes? Heck, I get tons of these emails and I’m just a guy who wrote a few articles for them, I don’t even work there. He might be getting 50 such emails per day. Every one of those emails is saying “I’m awesome, look at me!” and the editor has to decide if he even wants to take the time to read any of them, or if he’ll just delete them all and then go out searching for experts who are already out there doing great things and writing in other places and recruit them. After all, if they’re already writing somewhere else then he knows he can bring them on at Forbes and he won’t have to do any training, they can just go. 1. Read what the editor is writing. 2. Look at what the editor is tweeting out, especially the Forbes articles he hasn’t written but is tweeting and liking. This will give you some strong clues as to what the editor likes. 3. Write 10 posts that you think are on par or better than the articles the editor is sharing on social media. Publish these on your own blog, on Medium, and on LinkedIn Pulse. Practice driving traffic to them and getting people to engage with them and leave comments. That’s it. Try it and let us know if it works for you. Update: Due to popular demand I’ve launched an online course + community to help those interested in becoming Forbes contributors.